The ICS electrical division offers services such as control panel manufacturing, electrical installations and maintenance support contracts. 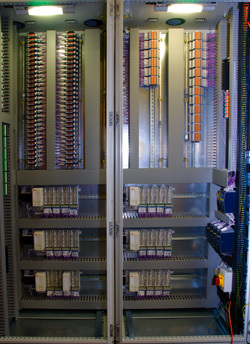 We design customised electrical and control panels to suit your applications. The panels are assembled at our control panel manufacturing facility. Please review a list of our more recent work in the projects page. 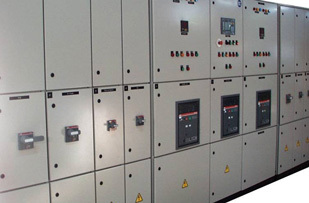 The LOGSTRUP Panel System is a modular system delivered in Kit Form, enabling the Panel Builders to build any configuration of Main & Sub Distribution Boards and Motor Control Centres & Control Panels in Fixed and/or Withdrawable design. It is also possible to build Panels with internal form of separations according to IEC 439 Form 1-4. The LOGSTRUP System is produced according to a very strict quality control system (ISO 9001) and is being continually developed.